New Zealand has had a technology curriculum since the mid 1990s. The curriculum has recently been revised, with a view to foster students’ digital fluency and ability to function in a technologically mediated world. The nature of schools is also changing in New Zealand. Advocated approaches encourage students’ engagement in creative and practical tasks, problem-solving and critical thinking, in relation to a range of global and local issues. This paper reports on qualitative research, to explore how two teachers fostered “future-focused” learning, within an innovative learning environment, at a junior secondary school level. Data were collected through observational and self-report methods. The findings suggest that future-focused approaches to an integrated curriculum are affected by teachers’ collaborative skills and knowledge of culturally responsive, digital, and learner-centred pedagogies. Funding was provided by University of Waikato (Grant No. 106312). Bates, T. (2001). National strategies for e-learning in post secondary education and training. France: United Nations Educational, Scientific and Cultural Organization. Retrieved from http://unesdoc.unesco.org/images/0012/001262/126230e.pdf. Levin, D., & Arafeh, S. (2002). The digital disconnect: The widening gap between Internet-savvy students and their schools. Washington, WA: American Institute for Research. Retrieved from http://files.eric.ed.gov/fulltext/ED471133.pdf. Ministry of Education. (2014). Four year plan and statement of intent, 2014–2018. Retrieved from https://education.govt.nz/ministry-of-education/publications/four-year-plan-and-statements-of-intent/. Ministry of Education. (2016a). Digital technology to become part of the New Zealand Curriculum and Te Marautanga o Aotearoa. Retrieved from https://education.govt.nz/news/digital-technology-to-become-part-of-the-new-zealand-curriculum-and-te-marautanga-o-aotearoa/. Ministry of Education. (2016b). Four year plan 2016–2020. Retrieved from https://education.govt.nz/ministry-of-education/publications/four-year-plan-and-statements-of-intent/four-year-plan-2016-2020/. Ministry of Education. (2017a). Digital technologies: Hangarau Matihiki. Wellington, New Zealand. Retrieved from https://education.govt.nz/assets/Documents/Ministry/consultations/DT-consultation/DTCP1701-Digital-Technologies-Hangarau-Matihiko-ENG.pdf. Ministry of Education. (2017b). Enabling e-learning. Retrieved from http://elearning.tki.org.nz/Teaching/Digital-fluency. New Zealand Education Council. (2011). Tātaiako: Cultural competencies for teachers of Māori learners. Retrieved from https://educationcouncil.org.nz/required/Tataiako.pdf. Organisation for Economic Cooperation and Development. (2013). Innovative learning environments. OECD Publishing. Retrieved from http://dx.doi.org/10.1787/9789264203488-en. Reinsfield, E. (2018a). The potential for a future-focused curriculum in New Zealand: The perceptions and practice of six secondary school technology teachers (Doctoral thesis). Retrieved from https://hdl.handle.net/10289/11939. Reinsfield, E. (2018b). Integrating Digital Technologies into the New Zealand curriculum: Future-focused and technological ways of thinking. Australasian Journal of Technology Education. http://dx.doi.org/10.15663/ajte.v5i0.64. Reinsfield, E., & Williams, P. J. (2017). New Zealand secondary technology teachers’ perceptions: “Technological” or “technical” thinking? 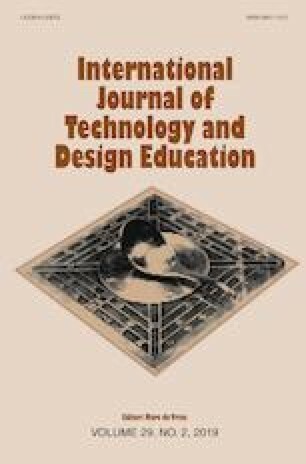 International Journal of Technology and Design Education, 1–13. https://doi.org/10.1007/s10798-017-9418-z. Wright, N. (2010). e-Learning and implications for New Zealand schools: a literature review. Wellington: Ministry of Education. Retrieved from http://www.educationcounts.govt.nz/.